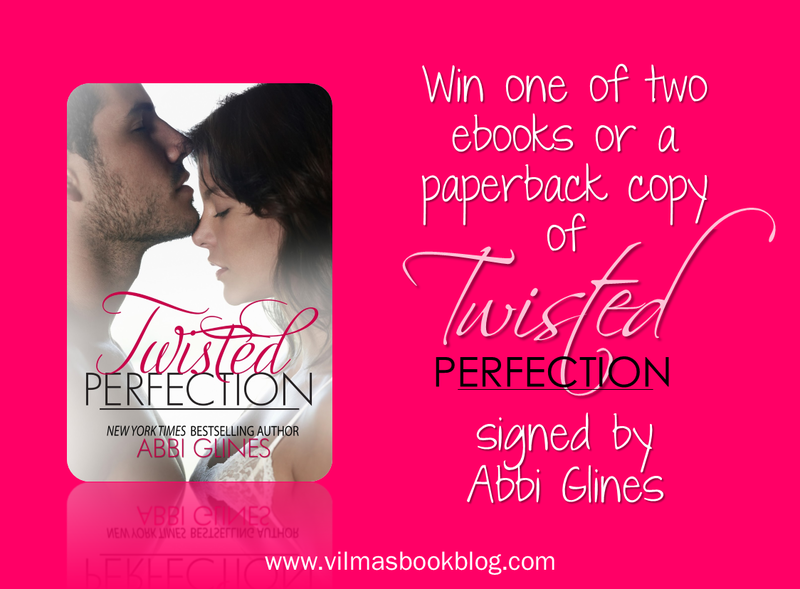 1 signed paperback of TWISTED PERFECTION signed by Abbi Glines! 3 winners will be chosen! Giveaway ends Tuesday, April 30th at 8:00 p.m.
Love to start reading your books. All your reviews are so good.